To celebrate the launch of a new Birmingham City Council book celebrating the inspiring stories of 30 Birmingham women, Birmingham City University will be a hosting a special City Talks event featuring women included in the book. 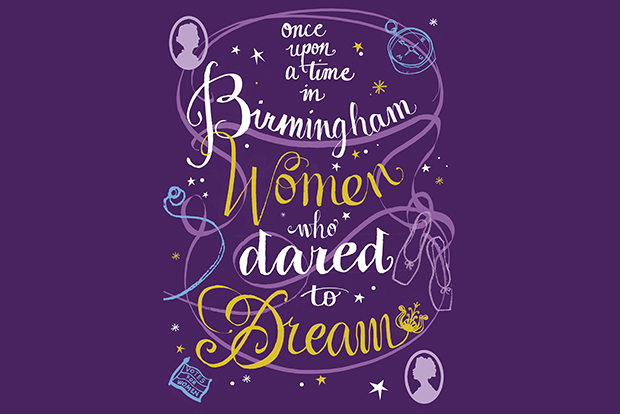 'Once Upon A Time In Birmingham: Women Who Dared To Dream' has been written to commemorate the centenary of women’s right to vote, and includes city heroes such as Malala Yousafzai, Jessie Eden and multi award-winning CEO Raj Holness. The free, family friendly, event will take place at Royal Birmingham Conservatoire’s Recital Hall, where a distinguished panel will discuss the past, present and future of inspiring women influencing the second city. The panel will be made up of the pioneering women featured in the book and who made a contribution to the book’s publication including Raj Holness, Cath Hannon and Salma Zulfiqar. The panel will be chaired by Birmingham City University’s own Marverine Cole, an award-winning journalist and broadcaster. The book details the stories of each of the women who “dared to dream” and is accompanied by a specially commissioned portrait. Each portrait has been created by a team of seven female artists with strong links to Birmingham. The illustrators include a quartet of Visual Communications graduates from Birmingham City University. This book has been produced in conjunction with female-run city publisher The Emma Press, who will be selling copies of the book at the event.